Mareen has been on the Kona qualifying bubble for the last few years. In 2013 she qualified but had a frustrating DNF with technical issues on the bike. In 2014 season she raced 6 Ironman races (in addition to Kona) but needed one slot to roll down – which didn’t happen for the female Pros. The KPR rule changes for 2015 – allowing only up to three scoring IMs instead of five as earlier – also impacted her qualifying strategy. Collecting points for Kona 2015 started well for her: At IM Western Australia she was in the lead for a long time and finished in second place with a new Ironman PR of just over 9 hours. Melbourne didn’t go quite as well, she wasn’t in top form after being sick and not being able to start IM New Zealand two weeks before. 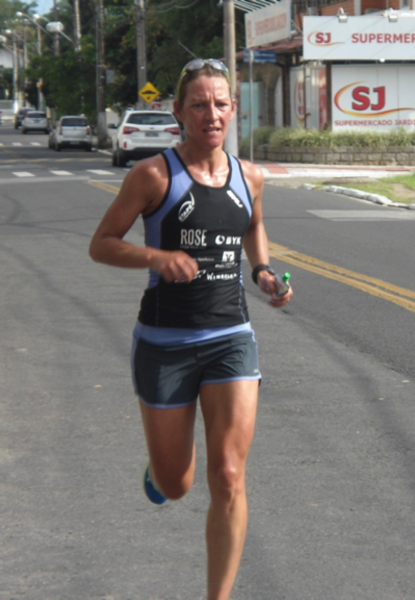 She followed that up with a 7th place in Brasil in May – she struggled on the run when she discovered that the run aid stations didn’t have any gels. She still needed more points to qualify and decided to race her fourth Ironman of the season in Switzerland. After a solid race she finished in 3rd place – exactly what she needed for the remaining points. Mareen is really looking forwards to Kona: “It is the most important race of the season for me. I’m really looking forward to it! After a week of training in Fuerteventura, I’ll fly to Kona two weeks before the race. I am not worried about acclimatizing – I’m doing well in heat and wind. I don’t look for a specific place, but aim for the best performance I have done so far. The bike and run suit me and I will hopefully end up in the first half of the field. 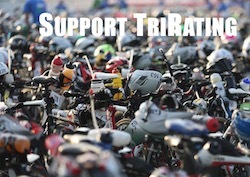 Getting out of the water with the front pack would help a lot, but this won’t happen.” Her race plan is similar to that of a couple of other athletes: Limit the time she looses on the swim, then make up time on the bike and try to hold on during the run. In 2012 she finished 19th with a time of 9:52. This year, she’ll have to be about 20 minutes faster to finish in a similar place.